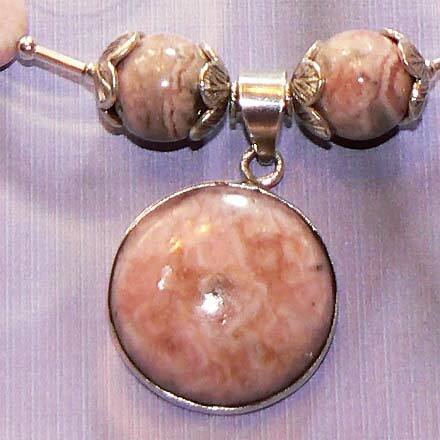 Sterling Silver Rhodochrosite Necklace. See Closeup. 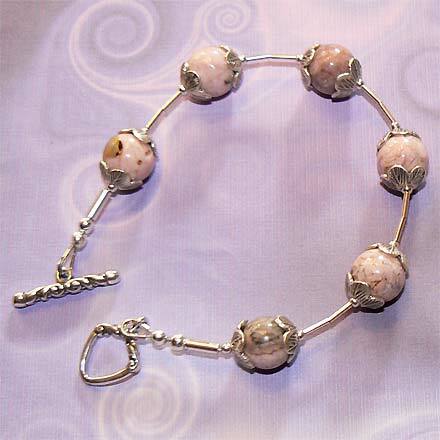 Veined flower petals of Thai Silver cap the Rhodochrosite beads. 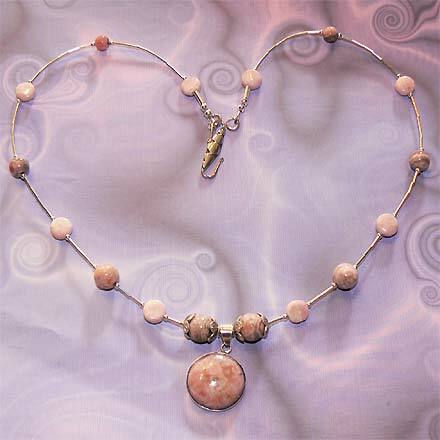 The necklace has a tiny little round pendant, and is strung with liquid silver beads, making it lightweight and affordable. For those who are interested in Astrological significances of stones, Rhodochrosite corresponds with with Leo and Scorpio.